Heard of Baba Bento? The last time I recall having an authentic Peranakan meal was probably years back in Malacca, at one of those huge family getaways when the school holidays were here. It was almost a ritual for our family, where three generations would sit cramped in a small restaurant and fill the air with the endless chatter. But with everyone slowly ‘adulting’, it hasn’t be easy to hustle the crew back together. Needless to say, it has been a while since I relished in the traditional flavours of Peranakan cuisine. 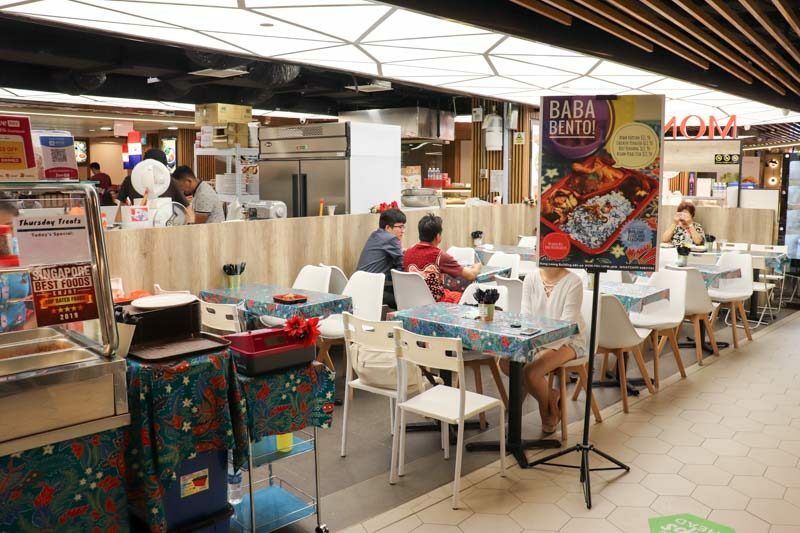 A friend of mine recommended I try out Baba Bento over at Hong Leong Building, who guaranteed uplifting, nostalgic flavours. With an expectant heart, I walked my way around the bustling CBD of Singapore and ventured towards the tower. 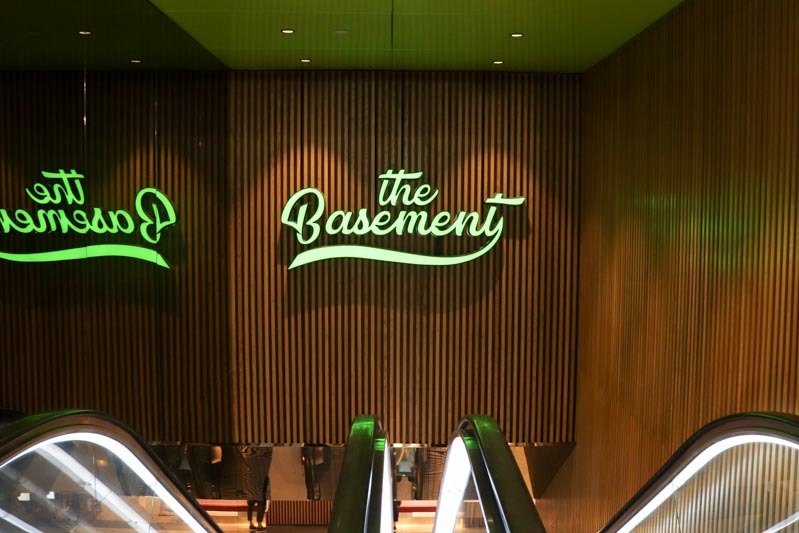 Hopping on the escalators that led me to “The Basement” (how creative, I know), I was all too excited to finally indulge in some Peranakan fare. It took me a while to find Baba Bento amongst the string of eateries. With no distinct signage, I arrived in front of a humble stand decked in batik decor. Sarah,the owner of Baba Bento, also donned the nyonya kebaya which added a big plus to authenticity. Initially called Daddy’s Kitchen, Sarah and her father decided to rename it to Baba Bento. 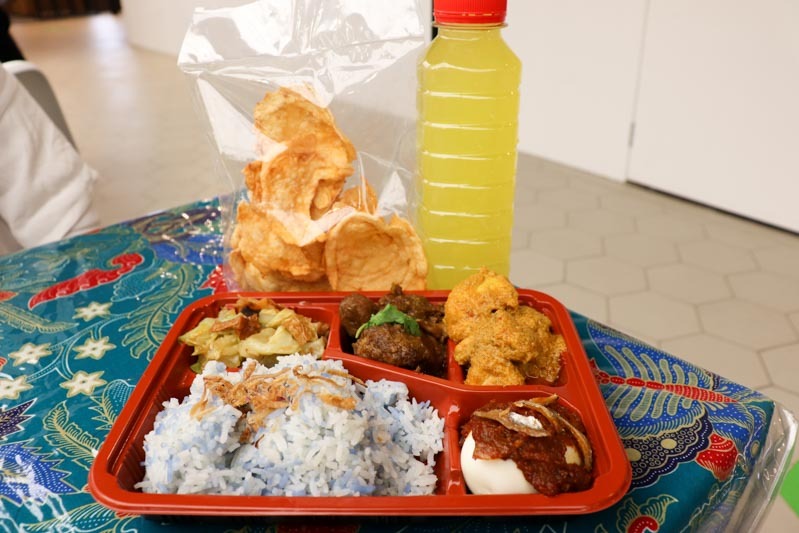 ‘Baba’ was the term to address a Peranakan male, where in this case is Sarah’s father as chef of Baba Bento. Trained under a Peranakan chef at Shangri-La, Sarah’s father now whips up delectable dishes for his customers to enjoy. Some would say the space at Baba Bento was a little too close for comfort, but to me, it was just like how I remembered my experience to be and exactly what made the meal heartier. 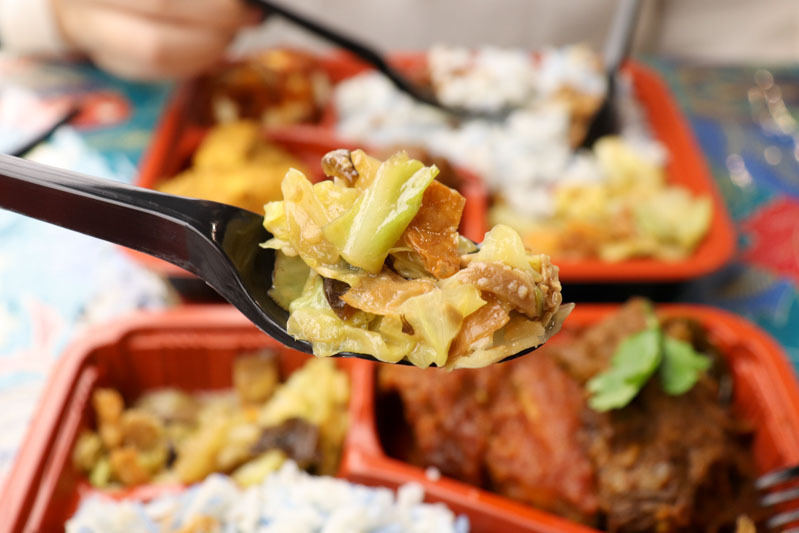 If you’re not too fond of mixing in with the lunch crowd, the bento boxes are extremely handy as a takeaway option too. My dining companion and I got a little bit of everything that Baba Bento offered and agreed to share. 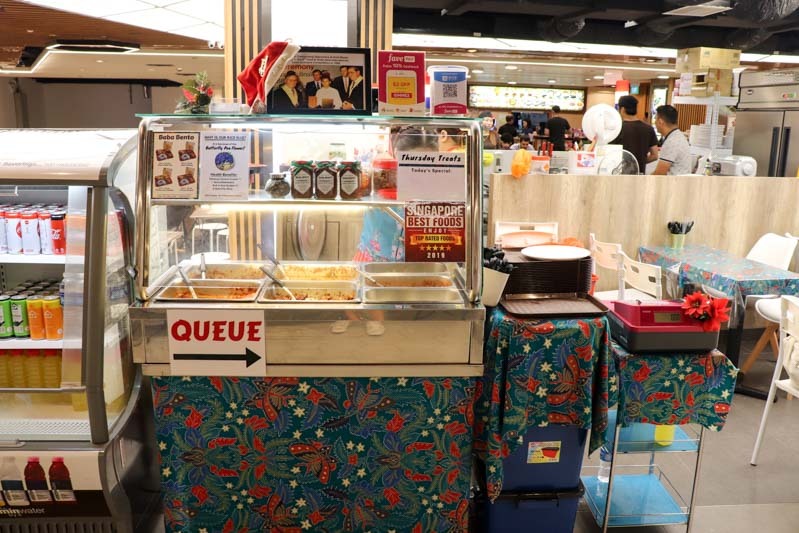 After all, that was the essence of Peranakan cuisine; having an extensive spread of food laid before you to enjoy a bite of every homemade dish. I mean – look at how beautiful the bento boxes looked! It was almost too pretty to eat but my hunger hesitated no further. 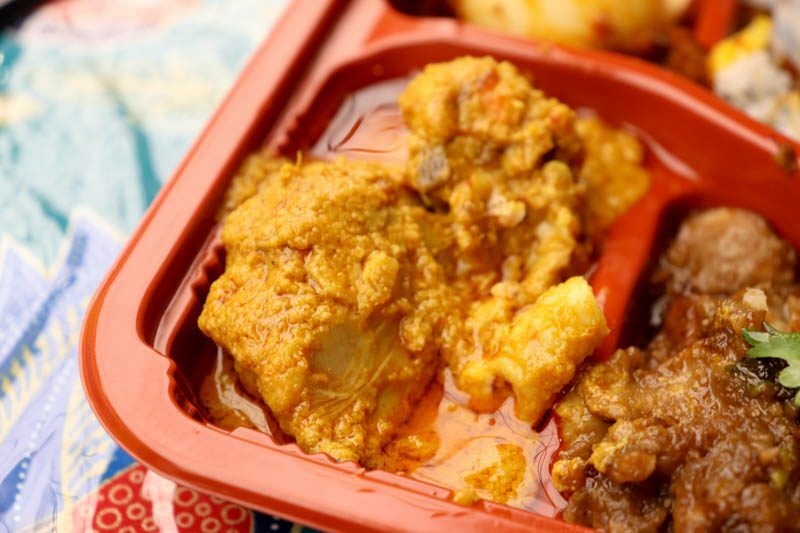 The first bento came with a half portion of Chicken Curry Kapitan and Chicken Pongteh and was priced at S$11.90. Each bento came in a set with a choice of a packet of homemade fish keropok (cracker), plain or chilli emping (Indonesian chips made of belingo nut) and a bottle of lime juice. 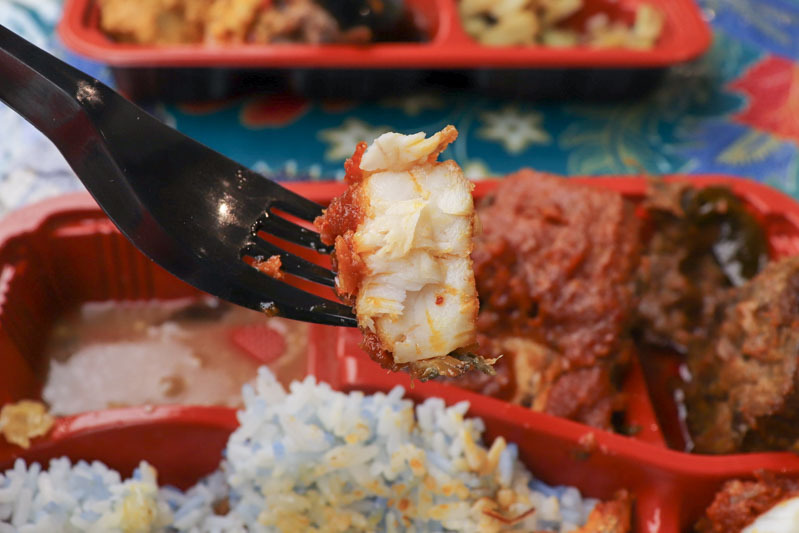 Every bento set came with fragrant butterfly pea blue rice, fixed sides of nyonya chap chye (mixed vegetable stew) and one sambal egg, topped with ikan bilis (fried anchovy). Let’s start with the basics. The chap chye here at Baba Bento is one I relished in absolute delight. With the standard greens of cabbage, black fungus, tau kee (beancurd skin), tang hoon (glass noodles) and mushrooms, this is not any vegetable dish to belittle. What I loved most about this unassuming side was the detail in making this staple such a stand out on its own. You can taste the crunch of the fried tau kee bits which was a bold move to fry them separately before stewing them all together, but wow, the difference it made was impeccable. The rich and tasty zhap (gravy) was all too familiar. Dare I say, it even tasted better than my grandmother’s version. Sorry, ah ma! Next up was the chicken curry. I was used to a version that came with potatoes but the traditional recipe focuses on just a humble spicy chicken stew, which I never really knew about. Oh well, you learn something new every day. The chicken was soft and tender and together with the delicious lemak gravy, it effortlessly brought back those memories of that last Peranakan meal I had. With just the right amount of spice and coconut milk, the dish was oh-so comforting and nailed it on the head with that hearty, wholesome flavour. I’ll admit, I was a tad reluctant to share this with my dining companion because I could easily gobble it down. Well, no harm planning another trip to indulge in this again, right? 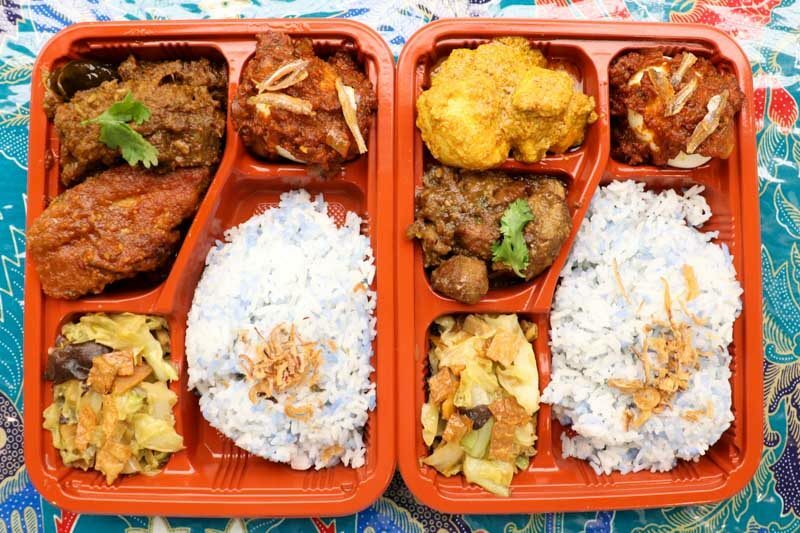 The second bento came with a half portion of Beef Rendang and Assam Pedas (sweet and sour fish) and was priced at S$13.90. 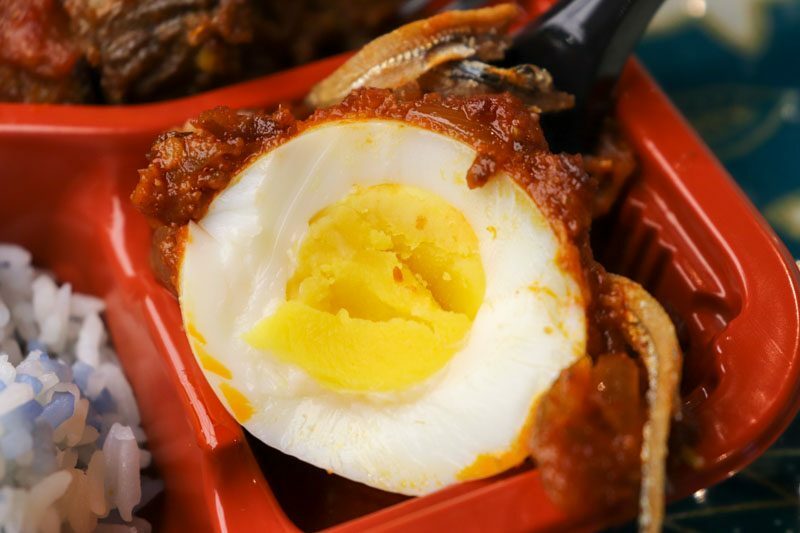 The sambal egg was cooked hard-boiled yet managed to embody a bouncy texture. Coated with the sambal chilli which gave it a burst of sweet and tangy flavour, this simple side deserves all the credit it deserves. The crispy ikan bilis complemented the dish with an extra saltiness and fit in like peas in a pod. It was the perfect example to see how fresh the dishes were prepared daily here at Baba Bento. 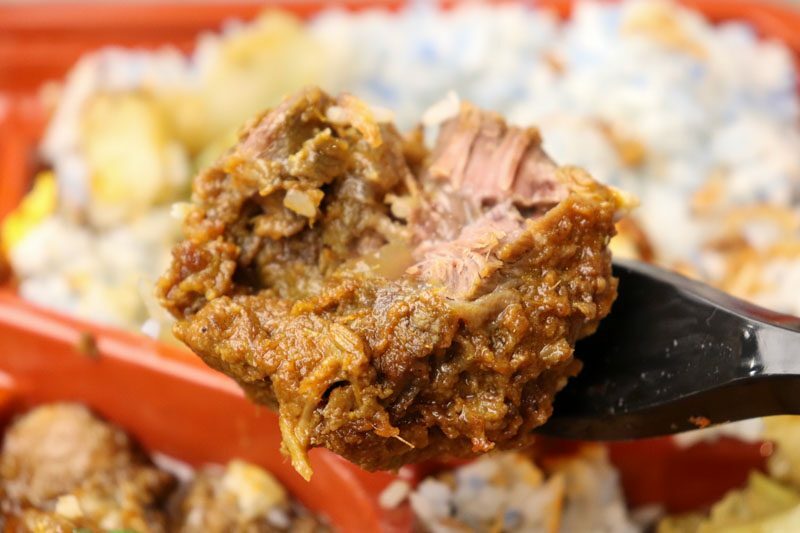 I tried the beef rendang, which was a traditional beef stew made with many spices, herbs and of course, a portion of beef. The aroma of the stew hit a few sweet spots as it brought me back to when I was a child, drooling just catching a whiff of the fragrant smell that escaped the restaurant’s kitchen. The hearty chunks of beef were extremely tender and pulled apart easily. The gravy was decadent, with a nice balance of Asian flavours from the curry leaves and lemongrass. 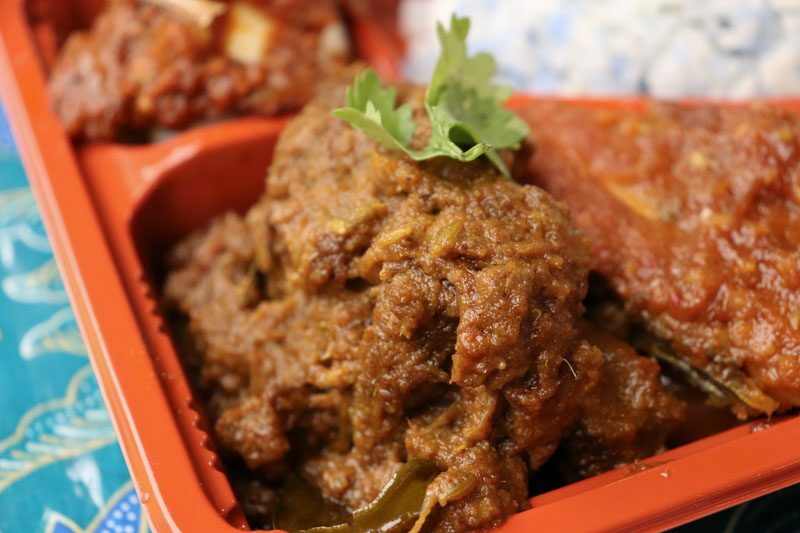 Altogether, this rendang may look simple but its complex flavours will require more than just sight to understand it. The assam pedas featured a fish fillet which was thick and juicy, but do beware of the fish bones. Slathered in a spicy and sour sauce, the dish packed a punch of heat which was satisfying to revel in. 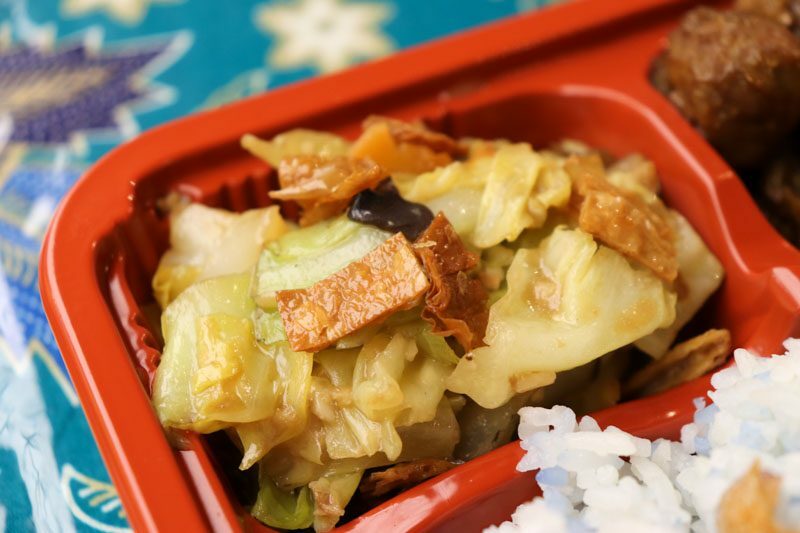 By now, I was convinced that Baba Bento had a secret ingredient that made everything better. The sheer devotion they brought to the table with their dishes was something that couldn’t be tasted – but felt. 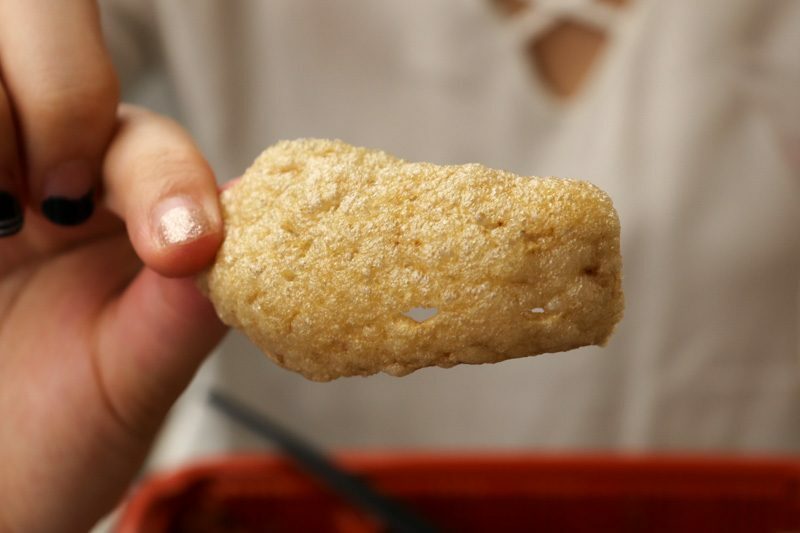 Plus, did I mention that their fish keropok, plain and chilli emping are all homemade? 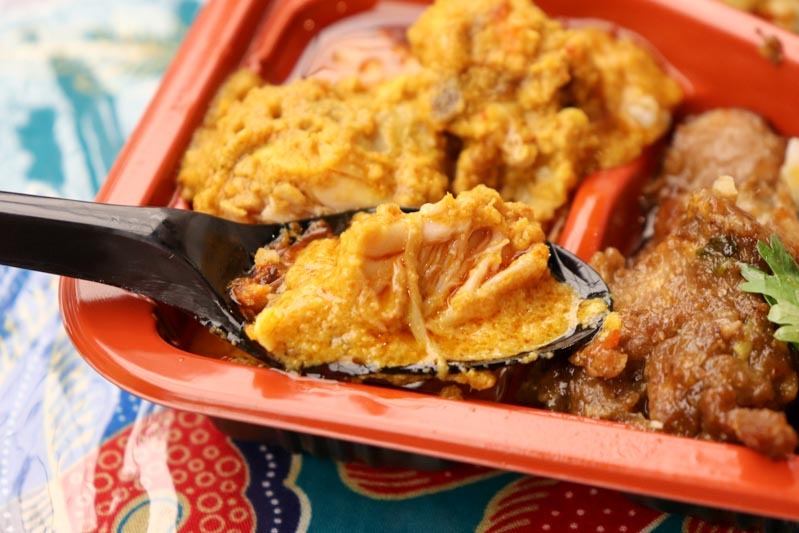 Trust me, Baba Bento promises no less than a true gastronomical Peranakan feast. If you’re looking to change up your work lunches, you have to give this a try. 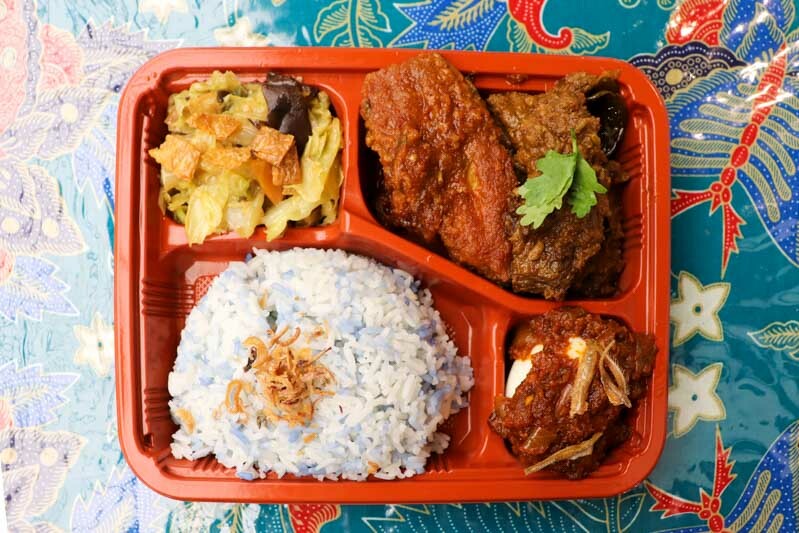 Baba Bento’s love to keep Peranakan cuisine delicious and affordable will definitely leave you wanting more. There’s nothing like a meal that tugs at your heartstrings and I couldn’t be more thankful to Baba Bento for the reminiscent meal.